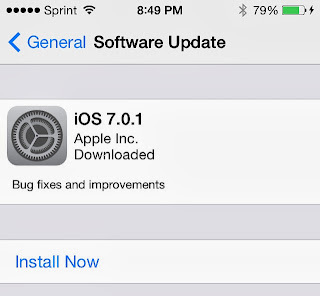 Earlier today, Apple released the second iOS 7 update, iOS 7.0.2. This minor update for the newly released iPhone 5S and iPhone 5C is intended to address a vulnerability that was detected last week that could allow an attacker to bypass the security lock screen. If you happen to have the Greek version of iOS installed on your device, you can once again use the Greek language keyboard for passcode entry. The latest iOS upgrade can be downloaded via the Software Update control panel located at: Settings > General > Software Update. 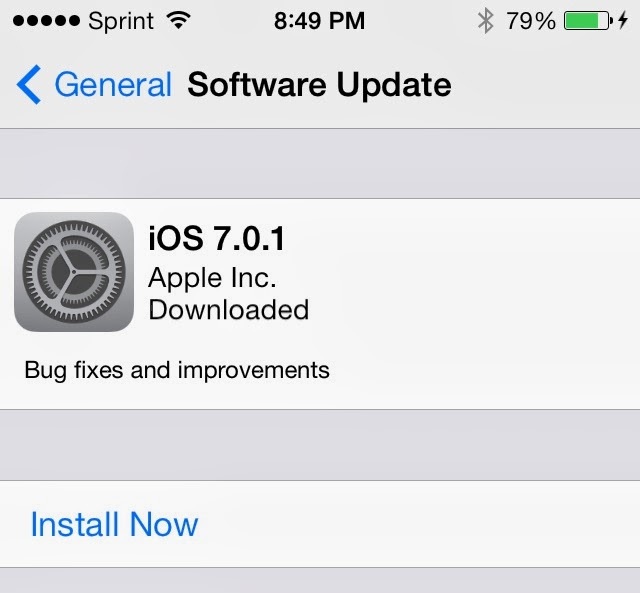 The iOS 7.0.2 upgrade weighs in at 17.4MB, which is practically nothing when compared to the over 700MB iOS 7 upgrade package pushed out on Wednesday, September 18. Previously, Apple released iOS 7.0.1 for the iPhone 5S and iPhone 5C last Friday, September 20 as a minor tweak for the new hardware. Apple is also working on an iOS 7.1 update that many people believe will be released on or around October 15 as part of what is rumored to be the iPad refresh event held ahead of the all important holiday shopping season. As Apple began selling the new iPhone 5S and iPhone 5C to customers this morning, iOS 7.0.1 was also rolling out to all the newly activated iPhones. The minor update, simply lists "bug fixes and improvements" as the payload for this update. 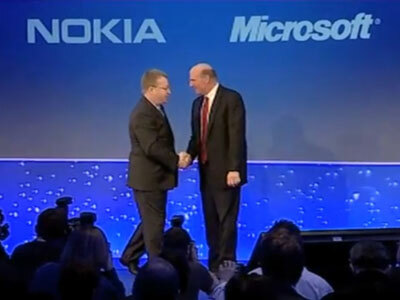 My guess is these are just last minute tweaks for the new hardware. The update is just 17.6MB. Apple is also said to be working on iOS 7.0.2 and 7.1 already according to the usual "people close to the matter". It has been a beautiful fall day here in Connecticut, especially since I was lucky enough to pick up a 32GB Space Grey iPhone 5S this afternoon at the New Haven Apple Store. 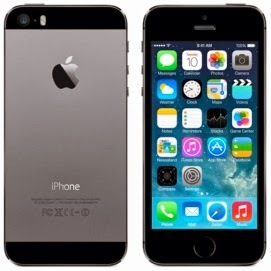 According to the staff, all of the Verizon and AT&T iPhone 5S models were sold out. I also got the impression that the 16GB iPhone 5S units for Sprint and T-Mobile were running close to empty also. But, as it turns out, they still had "a few" 32GB Sprint units left, to which I happily forked over my $299, plus tax. I also picked up a Product (RED) Apple leather case of my new iPhone 5S. 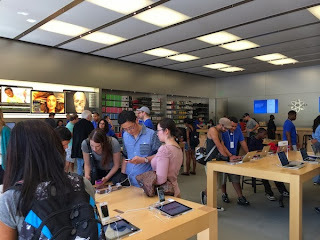 The Apple Store was "super busy" this morning, but when I arrived at around 2:00pm today, the store was full of people, but it wasn't a mob scene. 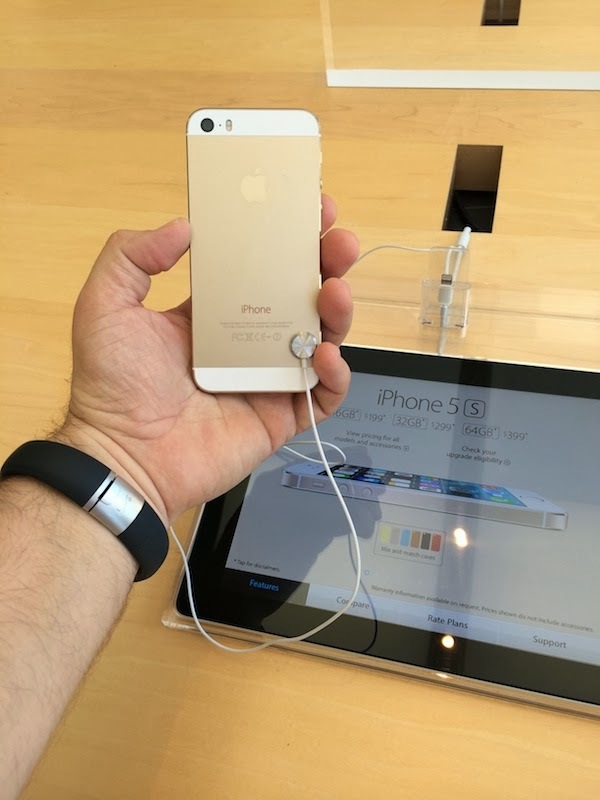 While I was lucky to have gotten my iPhone, and rather late in the day I might add, not all of Apple's fans where able to get their hands on the new white and ultra-rare gold iPhone 5S were difficult or damn near impossible to find. I took a few minutes to look at the new gold color iPhone 5S. If you are looking to buy a gold iPhone, this photo might be as close as you can get for weeks yet. Regardless of what you plans were for iPhone 5S day, I hope it was a good one for you. 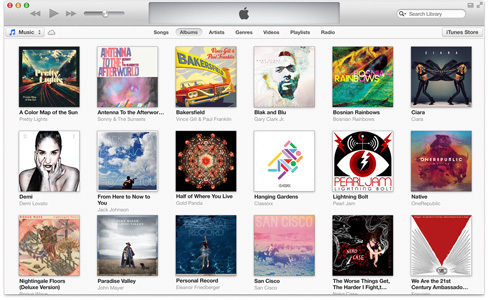 A short while ago, Apple posted the General Availability, or "GA", versions of iOS 7.0 and iTunes 11.1. Before upgrading, we encourage you to read our Getting Ready for iOS 7 guide. You can download iOS 7.0 to your iDevices by navigating to Settings > General > Software Update and clicking the "Download & Install" button. The 768MB installer package will download and install. The download times will vary depending on the speed of your device's Internet connection. You can also download the latest release of iTunes, version 11.1, from the Mac App Store, Apple Software Update on Windows PCs, or from the Apple iTunes website. Later today, Apple will be releasing iOS 7 to everyone. Here's a list of things you need to know and do to get ready for today's upgrade. 1. iOS 7 is a major user interface/user experience overhaul. While much of iOS will work the same as it always has, all of the graphical elements of the OS have been changed. Your iDevice will look different after this upgrade. 2. Update and upgrade your apps before upgrading to iOS 7. This step is important to ensure the best experience with iOS 7 and software compatibility. 2a. Upgrade to the latest release of iTunes for Mac OS X or Windows either by using the Mac App Store, the Apple Software Update control panel on Windows PCs, or using the download link on the Apple iTunes page. 2b. Upgrade your iOS apps. Over the past month there has been a steady stream (read: a monsoon-like flood) of app updates from both Apple and third-party developers. These updates range from minor compatibly updates to major application upgrades to take advantage of the many new features in iOS 7. Install all of your iOS app updates to get the best possible experience today. Also, keep in mind that some third-party application developers will be releasing their iOS 7 compatible software as a completely new application, which, will require you to repurchase the software title. This may not seem fair after we have gotten use to free software upgrades. App developers need to eat too and they have been working hard to make the best possible application for us. Repurchasing their great software is a small price to pay. 3. Backup your iDevice BEFORE you upgrade. I can't stress this point enough. Luck favors the prepared and it is in your best interest to do this step before downloading and installing iOS 7 on the iPhone, iPad, or iPod touch you rely on everyday. The last time I upgraded my everyday iPhone to a new version of iOS without backing up first was the first time that the upgrade failed and I had to hard reset my phone. Luckily, I only lost a few unimportant text messages, but it could have been worse. 3a. 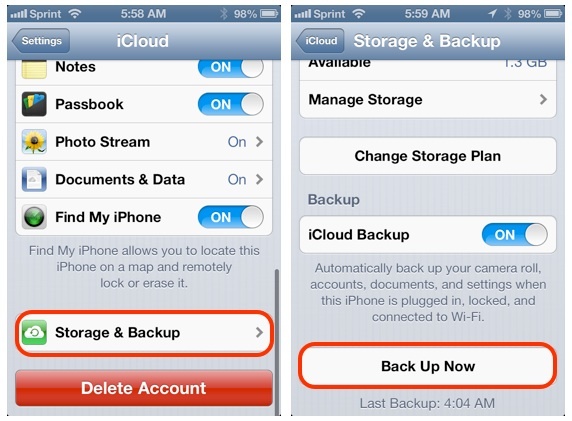 The easiest way to back up your iDevice if you are on a good Wi-Fi network is to use the iCloud backup feature. 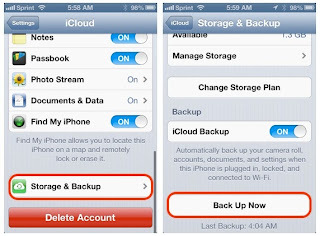 Navigate to Settings > iCloud > Storage & Backup and tap the "Back Up Now" button. 3b. If you prefer to backup to iTunes on your local Mac or PC, then launch iTunes and then connect your iDevice via the provided charge and sync cable. Your iOS device will be automatically backed up. 4. Plugin and charge your iDevice before starting the upgrade. If possible, leave the charging cable connected for the entire duration of the upgrade process. 5. 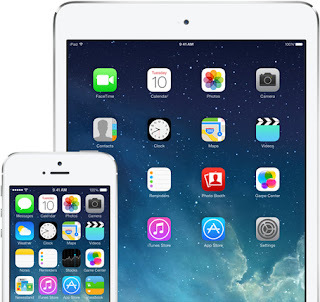 Upgrade your iOS device to iOS 7. 5a. The easiest way to upgrade to iOS 7 is to use the over-the-air, or OTA, method. Navigate to Settings > General > Software Update. When your device is ready to upgrade, you will see the upgrade now message. 5b. Again, if you are a "I want to use iTunes" person, make sure you've upgraded to the latest version of iTunes before starting. Then connect your iDevice to your Mac or PC via the provided charge and sync cable. You will be prompted to upgrade to iOS 7. After the upgrade package downloads, the upgrade process on your iPhone, iPad, or iPod touch will begin. The iOS 7 upgrade process is one way! You will not be able to (easily) downgrade back to iOS 6. If you aren't sure you are ready of the new look and feel of iOS 7 it is probably a good idea to wait until you can get down to an Apple Store and play with a demo unit with iOS 7 on it first. iOS 7.0 is a major redesign of iOS 7. While there has been a rigorous beta test period where Apple and third-party developers have been testing and resolving bugs in the system there will still be problems here and there. If you are the type who doesn't like "adventure" while using your iDevice will probably want to wait a few weeks for iOS 7.01. and 7.0.2 to be released. 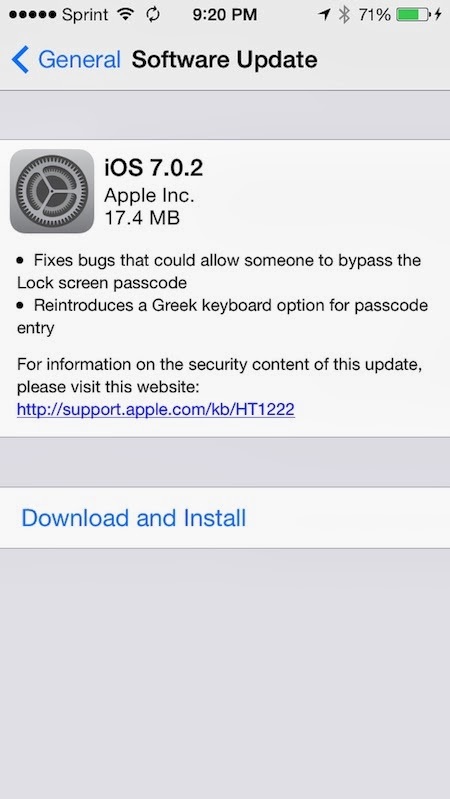 Apple is already testing those maintenance updates to iOS 7. I expect them to be released over the next 2-4 weeks, leading into the iPad event rumored to be October 15, which is when I expect Apple to release iOS 7.1. 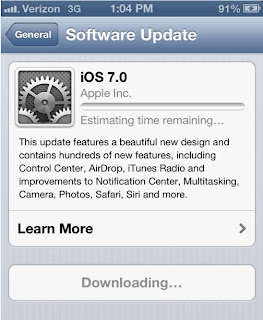 If you are installing iOS 7 on an iPhone or iPad that has been issued to you by your company's IT department, you will want to hold off upgrading until they have had a chance to test the new software with the existing software and back end servers to ensure that you have a good experience. I hope you found this guide helpful and enjoy iOS 7 later today! Tomorrow, Apple is expected to unveil a pair of new iPhones: the high-end iPhone 5S and it's low cost sibling, the iPhone 5C. While many have been excited about the prospect of a low cost iPhone, I wouldn't get to excited just yet. 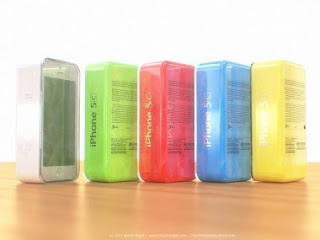 We might be better off thinking about the iPhone 5C as a "lower cost" iPhone. 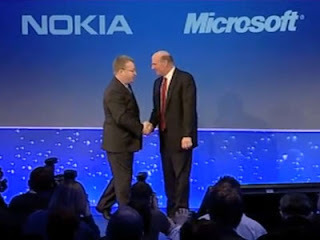 If a new post by AllThingsD's John Paczkowski is correct, anyone expecting a $300 iPhone is going to be disappointed. "Analysts expect Apple to price the so-called iPhone C somewhere between $400 and $500, potentially establishing a new mainstream price band between the smartphone market’s high end and its low end." Backing those claims is Katy Huberty who last month published a note to investors indicating that Chinese customers, a very important market segment for Apple, find a $486 dollar iPhone to be "acceptable". 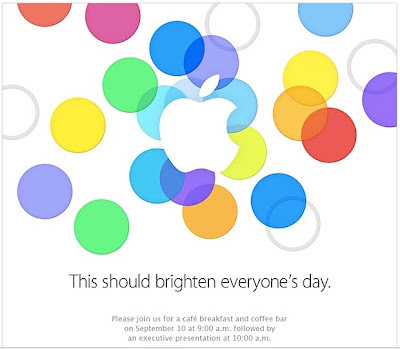 Apple will hold their fall media event tomorrow, Tuesday, September 10, at 10am Pacific/1pm Eastern.